WatchOS beta version is a lite version for your Apple Watch, and you can use it as a primary OS in your Apple Watch. It doesn’t matter which Apple Watch you are using, you will have to use WatchOS beta or public release as an OS. 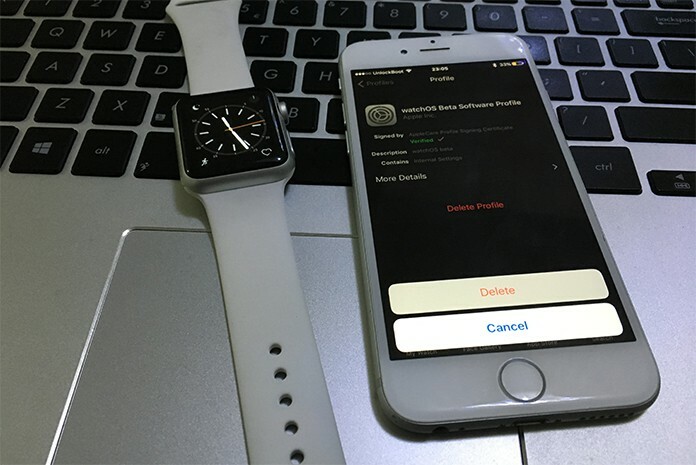 Most of the people use beta OS in their Apple watch as it is readily available for Apple Watches. However, a lot of people want to have the public release of this OS and sometimes they want to switch from WatchOS beta to official version. There could be many reasons for this like the features and working of the OS. There is a little difference in both of these OS versions, but both are available for any Apple Watch. The problem with these OS versions is these are not available all the time, and you cannot change the OS of your Apple Watch yourself. As we know, we can easily downgrade iOS if we want to do so. But, Apple Watch doesn’t allow us to downgrade the OS. This is a critical situation. When you have been using beta release for a long time, and now you want to use the public release, you will have to contact Apple Customer support. There are some methods of getting rid of this OS problem. The first and easiest way is removing the beta version from Apple Watch and waiting for the new update release. The problem with this update is we are not sure how you will get this update. Apple releases such updates for Apple Watch after some time like after some months. 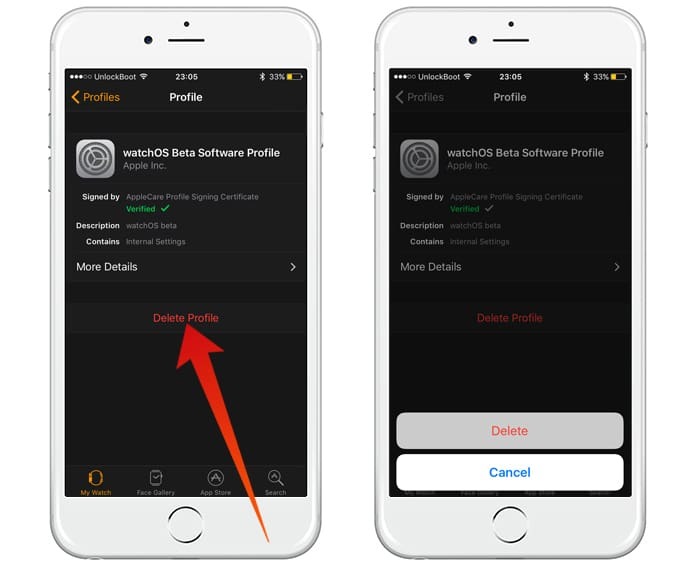 So if you want to get rid of this beta release, you can quickly remove the beta profile, and when the update would be available, you will be able to use that release in your Apple Watch. 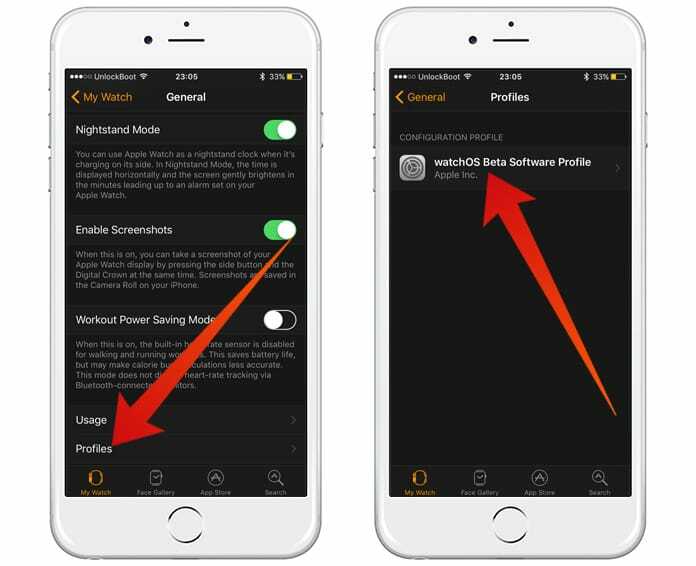 Now the problem is if you are using the beta release in your Apple Watch, how you can remove the beta profile so that your Apple Watch would be able to get and install the public release. Well, the solution to this problem is very easy. All you need is going to profiles and removing the beta release. Step 1: On your iPhone, click on the Watch app and tap on Profiles option under the General option. Step 2: Here you will see the WatchOS Beta Software Profile option. Click on it! Step 3: In the bottom, you will see Remove Profile option. You will have to click on it as it will remove the beta release profile from your Apple Watch. Step 4: Now you would be able to get the public release when it would be available. On the other hand, if you are looking for a quick way to change the beta release, you can contact Apple Customer Support. Apple will take your watch, and after some days, you will get your watch with the new public release. This method is beneficial if you want to change the OS quickly but it is only available in particular countries. Another problem with this method is you can only contact Apple Customer Support for this job. Apple Service providers and retail store do not provide this service.